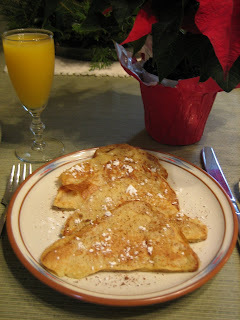 The inspiration for this festive breakfast hit me this weekend when I bought my first carton of Silk Nog of the holiday season. This thick, delicious vegan beverage has eggnog flavors -- with none of the yucky stuff! It's wonderful to drink straight but can also be used to dress up other foods for the few weeks it is sold each year. 1. In a flat shallow bowl, whisk together flour, sea salt, soymilk, oil and maple syrup. Let batter sit for 5 minutes to thicken. 2. Warm a lightly oiled griddle or large skillet over medium-high heat. 3. Dip one slice of bread in batter and coat completely. Place on hot griddle. 4. Cook until the first side is lightly browned, about 2-3 minutes. Turn over and cook the second side until lightly browned. 5. Plate and sprinkle with nutmeg and powdered sugar if desired. Serve with warm maple syrup immediately. 6. Repeat with remaining slices of bread. New research by the University of Washington was released this week reporting that the cost of healthy, lower calories foods is steadily on the rise. In fact, fresh fruits, vegetables and whole grains have jumped nearly 20 percent in the past two years. Scientists found that the foods which are less energy-dense -- generally fresh fruits and vegetables -- are much more expensive per calorie than energy-dense foods -- such as those high in refined grains, added sugars, and added fats. The prices of very calorie-rich foods stayed stable or even dropped slightly, the researchers found. It's almost as if the universe wants us to eat Doritos. But you must resist! But there are plenty who are giving in to temptation, a lower shopping bill and consequently, obesity. Have you ever peered into others' shopping carts when you waited in the check-out line at the grocery store? I always see lots of processed foods, sodas and other generally unhealthy fare. Meanwhile, I note that the people behind me in line seem to be scowling when I check-out with my piles produce that always seem to take the cashier a long time to look up and enter. "Is this cilantro or parsley?" Even with the higher prices and the grocery store scowls, I plan to continue finding ways to eat healthy, whole foods. I hope you will, too! 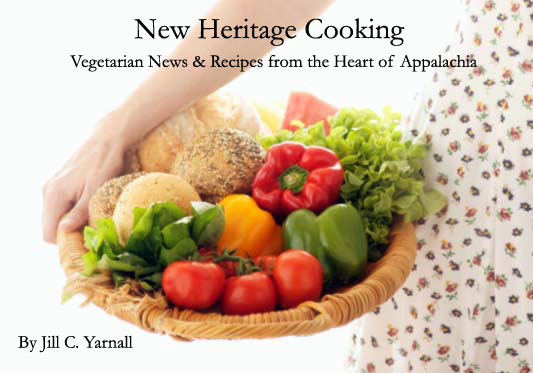 Newswise (12/03/07) — Moms, want your baby to learn to like fruits and vegetables? According to new research from the Monell Center, if you’re breast feeding, you can provide baby with a good start by eating them yourself. And, offer your baby plenty of opportunities to taste fruits and vegetables as s/he makes the transition to solid foods by giving repeated feeding exposures to these healthy foods — regardless of whether you’re breast feeding or using formula. The study, designed to test the influence of early sensory experiences on the development of healthy eating patterns, is published in the December 2007 issue of the journal Pediatrics. Mennella and co-author Catherine A. Forestell, PhD, studied 45 infants, 20 of whom were breastfed. The infants, who were between the ages of four and eight months and unaccustomed to eating solids other than cereal, were randomly assigned to one of two groups. One group was fed green beans for eight consecutive days; the other was given green beans and then peaches over the same period. Acceptance of both foods was assessed before and after the repeated exposure period. The results revealed that breast-feeding confers an advantage for baby’s acceptance of foods during weaning — but only if the mother regularly eats those foods. During their first exposure to peaches, breast-fed infants ate more and for a longer period of time, compared to formula-fed infants. Questionnaires revealed that mothers of breast-fed infants ate more fruits than did formula-feeding mothers, suggesting that the enhanced peach acceptance of their infants might be attributed to increased exposure to fruit flavors through breast milk. However, both groups of mothers reported eating green beans and green vegetables infrequently, at levels below current recommendations. Accordingly, there was no difference in the amount of green beans eaten by breast-fed and formula-fed infants the first time the vegetables were offered. In both groups, repeated opportunities to taste green beans over eight days enhanced acceptance of the vegetable, increasing intake by almost three-fold. The researchers also found that babies’ facial expressions did not always match their willingness to continue feeding, noting that infants innately display facial expressions of distaste to certain flavors. They urge caregivers to provide their infants with repeated opportunities to taste fruits and vegetables, focusing on the infant’s willingness to eat the food instead of on their negative facial expressions during eating.